Proponents of international trade are making a push in Washington, D.C., and nearly 200 Texas Farm Bureau (TFB) members last week added their voices in calling on Congress to support the U.S.-Canada-Mexico Agreement (USMCA). 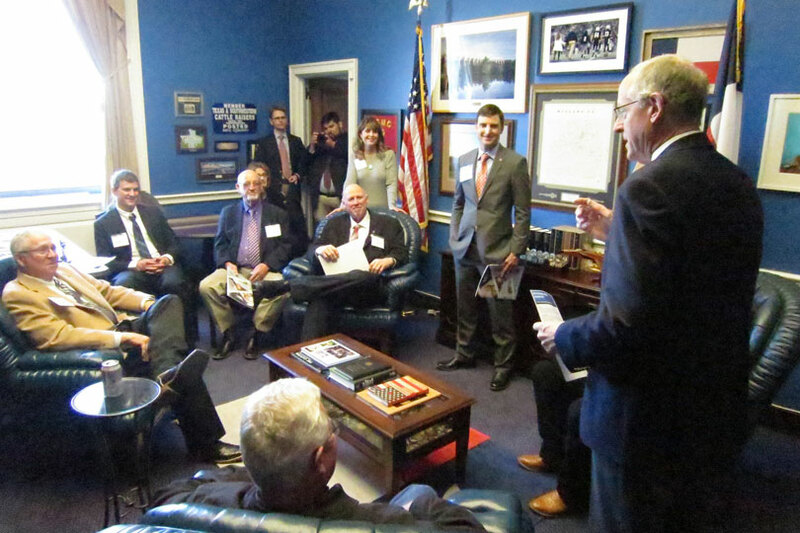 The Texas farmers and ranchers were in the nation’s Capitol as part of the TFB National Affairs Awards Trip March 25-28. Trade led the list of issues and policy positions promoted by attendees. Other national legislative priorities the group advocated for included the 2018 Farm Bill, farm labor, cattle fever ticks, transportation, taxes, regulatory reform and meat substitutes. Farm Bureau leaders met with members of the Texas congressional delegation or their staff, as well as heard from representatives of the U.S. Department of Agriculture and the Office of the U.S. Trade Representative (USTR). Congressional approval of USMCA must be accomplished before August, if possible, in order to avoid 2020 election-year politics, according to elected officials. U.S. Sen. Ted Cruz also addressed trade with the Texas group. U.S. Rep. Henry Cuellar said “jobs, jobs, jobs in the rural areas” are key words to earn favor by members of the Texas congressional delegation toward USMCA. ‘I’m supportive of the new trade agreement. I’m working trying to get Democrats to support it, and I feel at the end of the day, we are going to do it,” Cuellar said. The consideration of a trade agreement will be a new experience for a significant number of members of the U.S. House of Representatives. Doud said U.S. agriculture today exports $145 billion worth of products, and it could do a lot better than that, if it just had access.